We hope you've enjoyed Oreld's Orders and will continue to do so, and we look forward to bringing you Wave 21 in the months to come. If you want to help us out with playtesting, shoot a PM to Kinseth, Dysole, and Superfrog, and one of them will take you through the next steps. The Durgeth Ravagers have been unaligned in the war for the wellsprings, content to attack whichever groups of traders or troops pass through their swamps unprepared. Valkrill, however, managed to turn their fury to his advantage, by promising opportunities for bloodshed and plunder across Valhalla itself. The figures used for this unit are Star Wars Miniatures figures from the Masters of the Force, Universe, and Universe sets respectively. Their model names are Far-Outsider, Yuuzhan Vong Subaltern, and Yuuzhan Vong Warrior. Nicholas Esenwein has kennels at his fortress on Feylund, of course. Those kennels are ordinarily silent. Not because they are empty, but rather because the pack of Darkprowl Thralls is silent when it is not leaping upon its unsuspecting prey. Though Earth does not have - as far as anybody knows - elven archers to rival Syvarris, Ullar has discovered that there was a time and place when a lone Englishman - or woman - with a bow and arrows was a force to be reckoned with. Ullar has begun recruiting from that time and place, adding the deadly Nottingham Brigand to his army. Thank you all for being a part of what we do! Remember, if you want to help speed the arrival of Wave 21 and beyond, reach out with a PM to Kinseth, Superfrog, and Dysole, and let them know you want to playtest. Happy National Heroscape Day from all of us, to all of you. Love the new units ... more thralls benefit Nicholas. Love the Durgeth ... Defensive power with 1 defense should make them very swingy and fun to play! And the Bridangs are like a creative mini-squad. Neat additions, all! Cool. Really like Nottingham Brigand - I always thought a common Hero with Self & other bonding is great, and glad C3V added another after Command Courier and Hopiltron. For reference, are these the only Rogue Heroes? @lefton4ya hmmm... wouldn't it be nice if there were some rogue heroes that worked directly with the brigand? If I can make it to the M.D. tournament next month I'll be sure to bring a couple of the new Thralls. I'll probably proxy the Badru wolves. Whooohooo . . . . more new units. I guess HeroScape ain't dead yet. Thank you C3V for all of Wave #20, it's been an awesome ride from start to finish. Are there <LINKS> to the PDF files for these new units' cards? Rats. I guess "A slew of monks trained in ancient martial arts" didn't make the cut. I was really looking forward to those. Yes, I know that I can help make them come out sooner if I help playtest, but sadly I don't have time for that. Thanks for this Wave and the team's ongoing efforts!! It wouldn't be much fun if we released everything at once, now, would it, Janus? Thanks for your interest, everybody! Thanks for your dedication! I always love new figures. Much appreciated. New Thralls are always welcome, and the addition of non-humanoid ones in particular is interesting. For some reason I always thought the Durgeth were giants...regardless, their premier appearance is really cool. 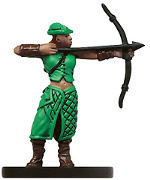 Similarly, I don't remember many women other than Maid Marian among the Merry Men, but figure limitations happen, and the design itself is cool, so it's not really an issue. Any idea when we can expect to see Robin Hood himself (or an expy thereof)? Glad to see Darkprowl get out of play testing, makes Nicholas so much more playable. Great job guys. Cool new stuff. Can't wait for these guys to show up in the mail! And the Community looked upon the new creations, and saw that they were good. @Johngee , we'll try and get the PDFs out as soon as we can.